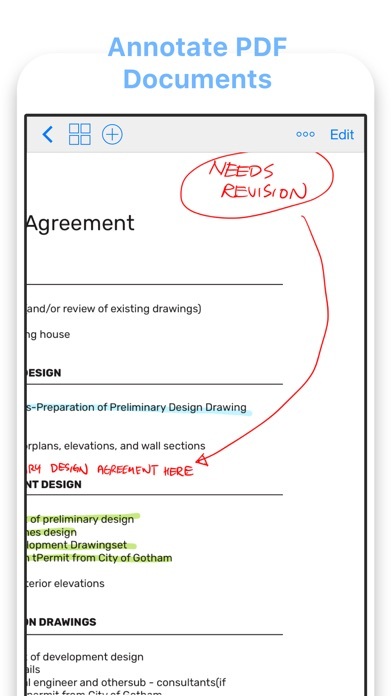 GoodNotes lets you take beautiful handwritten notes and annotate PDF documents. 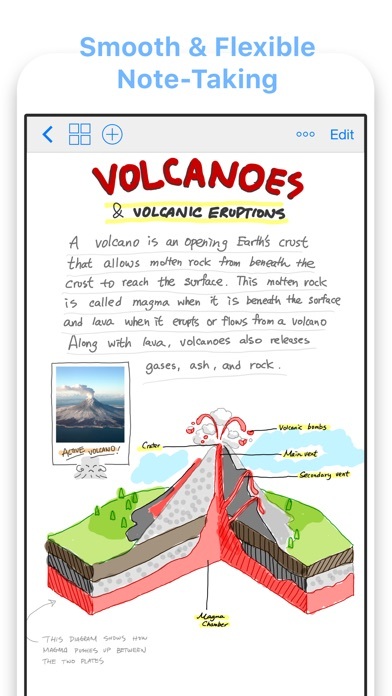 The handwritten notes are searchable and are created using a pioneering vector ink engine. 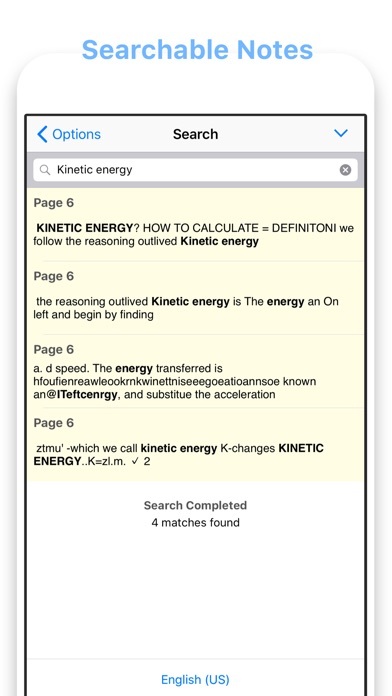 Thanks to iCloud sync, your documents in GoodNotes will synchronize between your iPad and iPhone automatically. GoodNotes features a state-of-the-art digital ink technology that will look great even with future super-high resolution displays. Just type in the search box what you're looking for and then tap Search. Type with the keyboard, insert images, or draw perfect shapes easily; mix between any kind of papers or even insert PDF docs inside a notebook; rearrange or delete pages as you like. It is very flexible. Great for saving time, paper, and the environment. Microsoft Word and PowerPoint files are supported too. Each template is carefully designed in vector format. There are lined papers, graph papers, music papers, and lots of notebook covers to choose from. Add your own template with an image or a PDF file. 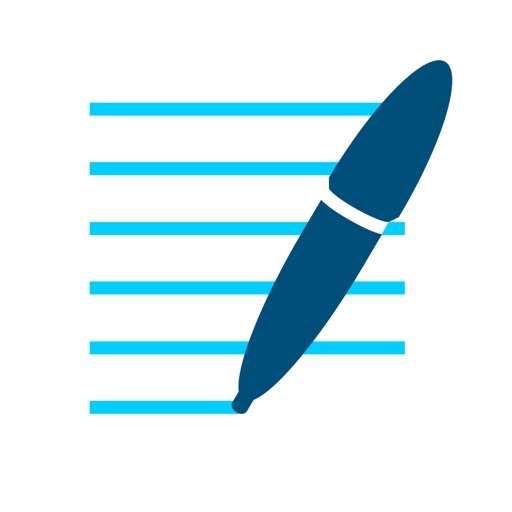 Thanks to the powerful zoom window feature, you can write quickly with your fingers or with a stylus in a large area, and your handwriting will be shrunk automatically. You can correct any mistake any time and it won’t become messy. The lasso tool will let you move things around or even resize them. GoodNotes features a trash function to protect from accidental deletion. It can also backup your data to Box, Dropbox, Google Drive, or OneDrive automatically. Your audience will not see the user interface — just the content — and you can choose which part of the page to show them. 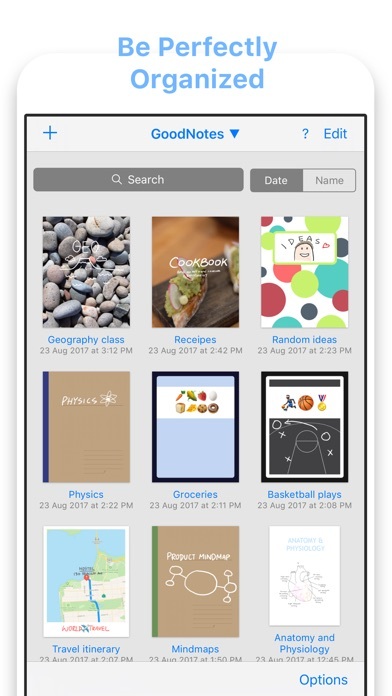 Many teachers and lecturers are already using GoodNotes to teach. The screenshots use material from Wikipedia articles Photoelectric effect and Internal combustion engine, which are released under the Creative Commons Attribution-Share-Alike License 3.0. 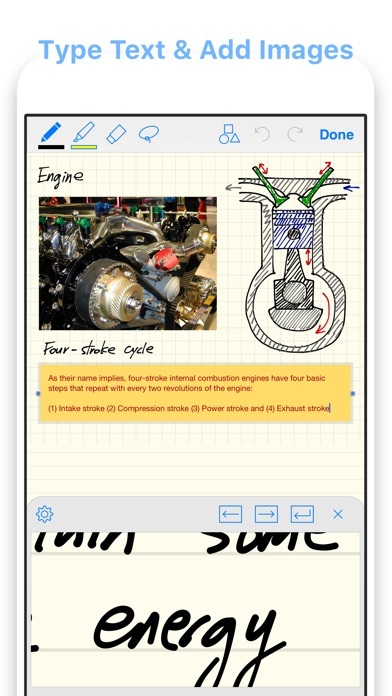 GoodNotes now supports the new iPad Pro and the Apple Pencil 2nd generation. The preferred action for Double Tap on the Apple Pencil can be set in the iOS Settings. To use Double Tap on the Apple Pencil, iOS 12.1 or higher needs to be installed.